I heard this place where some of us (many of us) dwell, called "Purgatory." That place that is neither wholly healed and sober and thriving, but also does not consist of the permanency and finality of being dead either. Its the place where we all are doing the best we can each day. Where sober "most" of the time is better than using multiple times everyday, day after day after day. We have a new opioid dependency clinic in our county. This is so very needed and such a long time coming, but today I called to check on the status of the rumors of a methadone clinic coming to our town. THAT would be a life changer for my girl. She has been driving or we have been giving rides, down our mountain for literally years to either treatment or to the methadone clinic. Has it led to total abstinent thriving sobriety? No. It has often been miserable, uncomfortable...physically and emotionally, its certainly inconvenient, expensive......but she keeps getting back up and making the drive, hoping that eventually she will feel better and things will actually be better. Recently she said to me, "You know how you hear of those people in meetings whose compulsion to drink and use was totally removed from them? I don't know why I don't get to be one of them, but I think this is just the life that I am called to live. This is my cross to carry. My life is a life of never being truly comfortable, of always having to work at being ok."
I recently watched a documentary about the champion surfer Andy Irons. The documentary included several interviews with psychiatrist, Dr. Andrew Nierenberg, who is dxed bipolar himself and made this profound statement, "We have to learn how to become comfortable living an uncomfortable life." That is the purgatory that my girl lives in each day. That is the purgatory that so many of our kids live in each day. It reminds me of The Princess and the Pea....something just never feels right. There is always something rubbing or poking or speaking in an ear or moving or itching....until you are just desperate from some relief. Then a relapse happens, relief, "ok get up, brush myself off, start again," and on and on the cycle goes. Of course there many variables to this scenario for each individual. I guess I am feeling like this is it. You know we always ask, "What if this is as good as it gets?" Well.....what if? Maybe this IS as good at it will get. Can I be ok with that? I think so. Things are calm and have been for a long time now. We live a different life than most of our friends. We are tired. We have spent years surviving the unthinkable. We crave quiet and calm and routine. Im ok with this. I have lost my drive for advocacy work, I just want to do today at my own house with my own family (and trust me when I say that that is plenty.) Maybe this lull will be temporary, maybe not. When a parent calls me from the ER, or reaches out in real life or through email for support, I am there completely, but as far as political advocacy, online advocacy....I . Just . Can't. That door has closed for some reason. I have to assume if its not burning in me the way it was, then its over for now. Maybe God has a different plan for me. For us. Maybe we are all walking our way out of this decade-plus of trauma and fear and uncertainty and its time to just live our very real, perfectly imperfect lives with what we have been given. We are all different people in so many ways then when we started out and for that I am so very grateful. When will I become comfortable living with the uncomfortable? I look forwArd to that day. Very nice to hear fro you Annette. The best to you in your new adventure. I resonate with all you’ve have said, know you are not alone. It’s exhausting living always on high alert, I strive to find calm living in my skin surrounded by the fear of things that are just out of my control. Yes, one day at a time is plenty. Thank you for your candour. Annette, good post. I am going to put a link to this on the post I just wrote. Dear Annette, Thank you for creating this space where so many of us have been able to share our burdens and get support. I'm glad that your daughter is doing better now and that she is actively trying to improve her life. I understand what you say about craving peace and quiet. I have a powerful need for that as well. I've seen others in the blogging community reach a point when they just stopped writing for reasons of their own. It seems that you may have come to that point, too. I'll always wish you well! I must add to my first comment. I didn't mean to minimize your daughter's struggles. After all, you referred to them as living in a kind of purgatory. I hope for all of our children's sakes that they can find a way to become more comfortable and healthy. The dad: is my husband, the kids dad, the builder of dog kennels, swing sets, and chicken coops. The man who is always faithfully there, supporting us all in everything we set out to do. Big brother: first born son, an amazing older brother, self taught computer programmer, loves his dogs and nature and his family... an all around great guy. Beauty: Married to big brother, a calming force in the whirlwind. My girl: my beautiful second child whose struggles birthed my desire to blog. She is smart and articulate, intuitive, and wise in ways that can only be learned through experience. Her true self is filled with grace and dignity. Molly: my third child, who is the bringer of joy and laughter. She can run like the wind, throws a javelin like the warrior princess that she is, and loves honesty and knowing where she stands in any situation. Ryan: Married to Molly, Landon's dad, one of the kindest and most empathetic young men Ive ever known. Landon: Our sweet grandbaby, bringer of joy. Little one: Our last little burst of life in our old age. My calm, peaceful, placid, girl...whose common sense surpasses mine most of the time. Is it safe to come out yet ??? The Mother of a Heroin Addict? When I grow up . . . .
Good Intentions, Wretched fleas and Alien Invasion! Lord, make me an instrument of your peace. Where there is hatred, let me sow love. Where there is injury, pardon. Where there is error, truth. Where there is discord, harmony. Where there is doubt, faith. 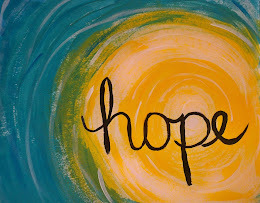 Where there is despair, hope. Where there is darkness, light... and where there is sorrow, JOY! Just for today I will be happy. This assumes to be true what Abraham Lincoln said, that "most folks are as happy as they make up their minds to be." Just for today I will adjust myself to what is, and not try to adjust everything to my own desires. I will take my "luck" as it comes, and fit myself to it. Just for today I will try to strengthen my mind. I will study. I will learn something useful. I will not be a mental loafer. I will read something that requires effort, thought and concentration. Just for today I will exercise my soul in three ways; I will do somebody a good turn, and not get found out; if anybody knows of it, it will not count. I will do at least two things I don't want to do - just for exercise. I will not show anyone that my feelings are hurt; they may be hurt, but today I will not show it. Just for today I will be agreeable. I will look as well as I can, dress becomingly, talk low, act courteously, criticize not one bit, not find fault with anything, and not try to improve or regulate anybody but myself. Just for today I will have a program. I may not follow it exactly, but I will have it. I will save myself from two pests : hurry and indecision. Just for today I will have a quiet half hour all by myself, and relax. During this half hour, sometime, I will try to get a better perspective of my life. Just for today I will be unafraid. Especially I will not be afraid to enjoy what is beautiful, and to believe that as I give to the world, so the world will give to me.